I’ve been using Vagrant with VirtualBox to handle WordPress local development, but it’s a bit tedious. 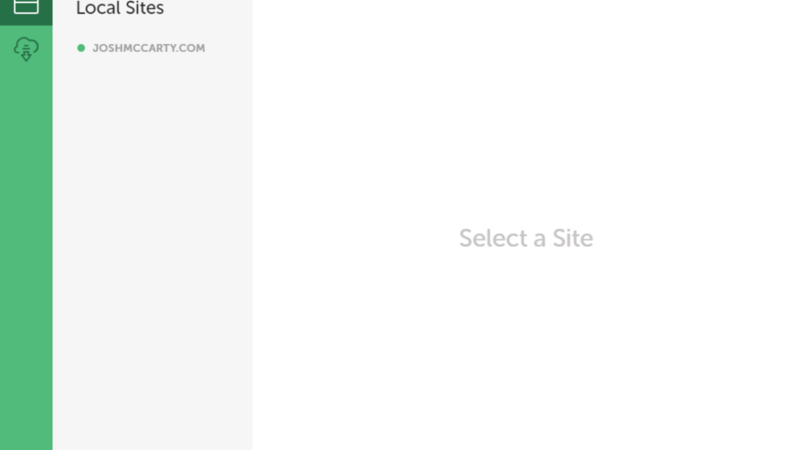 I’ve never really mastered setting up multiple WordPress installs using a single image, so I end up with multiple images taking up a bunch of hard drive space. When I heard about Local by Flywheel I was intrigued, and now that they have a Windows version I decided to install it and try it out. Unfortunately I ran into some issues right away. The first time I tried to install it an error message popped up (I didn’t take a screenshot so I don’t remember exactly what it said). I closed the message and waited for a while but nothing happened. The Local installer just sort of stopped doing anything but didn’t tell me it couldn’t continue or that I should close it and contact support or something. Anyway, after I finally did close the installer something about the error prompted me to uninstall VirtualBox and let Local install it during it’s installation process. I uninstalled VirtualBox, started Local back up and ran the installation process again. This time it made it to the last step and then seemed to get stuck, but the spinner kept spinning. Again, I wasn’t sure if it was busy or if it had run into a silent error and stopped. I looked in the Local menu to find the log file and try to see what was happening. 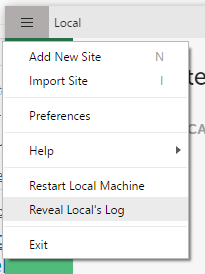 Select the Reveal Local’s Log menu item to view log entries and troubleshoot. I knew VirtualBox was up-to-date so the suggestion in the log wasn’t helpful in my case. After some searching I came across this suggestion that did the trick for me. I updated Vagrant on my computer from version 1.8.x to 1.9.7. Once I installed that and rebooted I was able to start Local again and it successfully completed installation and startup. I’m not sure of the root cause, but I suspect it has something to do with my previously having set up network adapters via VirtualBox/Vagrant before. As a final thought, it would be nice if the installer provided better feedback when errors occur, or at least some type of progress indicator or simplified log of what was happening. I think that would have saved me some time and prompted me to close the installer instead of waiting when I wasn’t sure if it was still doing something. Other than my installation issues it’s been a fantastic product so far, especially for free!